Your message is important, so take advantage of our services and say what you have to say with more efficiency! Choose from our variety of electronic message signs, which we can customize specifically for your needs. We offer multi-line and multi-color displays for your convenience, to simplify your advertising process and help your business succeed! by the minute, by the hour or by the day to help sell your products and/or services. Our electronic message signs will give your potential customers a vivid understanding of who you are. But why stop there? We also offer cabinet and pylon signs, channel letter signs, and neon signs, so you can make a statement for your brand, in the format that suits you the best! Ask us about our signage options and see the difference our signs can make for your business. 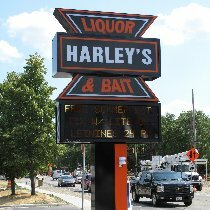 Let us help you with your entire sign project, from design to completion! We are staffed with a creative team who loves to create the perfect sign just for you! Call and order your electronic message signs! Page Summary: Wisconsin Sign & Graphics offers digital signage, neon signs, led signs and digital display. Products & services such as lighted signs, sign lighting, electronic sign as well as digital sign are also part of the scope of our business. 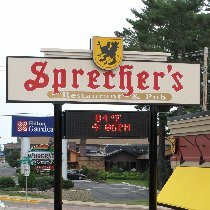 We also specialize in illuminated signs, electronic signs in Edgerton, Janesville, Middleton as well as Mc Farland. Other areas we serve include Oregon, Verona, Madison and Milton. We also service Monroe, Stoughton and beyond.